Conflicting messages emerge from this work by Italian artist Aron Demetz as strong human forms gaze out with sad, expressionless eyes, evoking in viewers an eerie sense of loneliness. 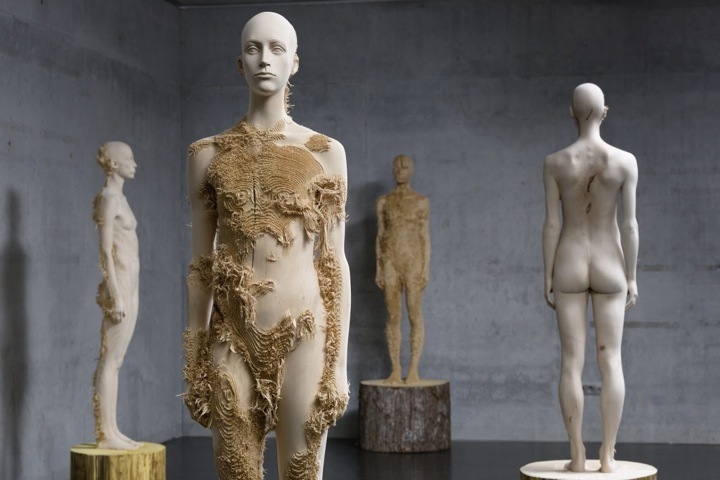 The meticulously sculpted bodies are covered with layers of rough wooden shavings, a symbol of the flaws that we all carry with us. But, rather than concealing them, Demetz exposes them for all to see and evokes a sense of self-reflection among his viewers. According to the artist, the series "explores the human search for balance between striving for perfection and the acknowledgement and acceptance of life's limitations."